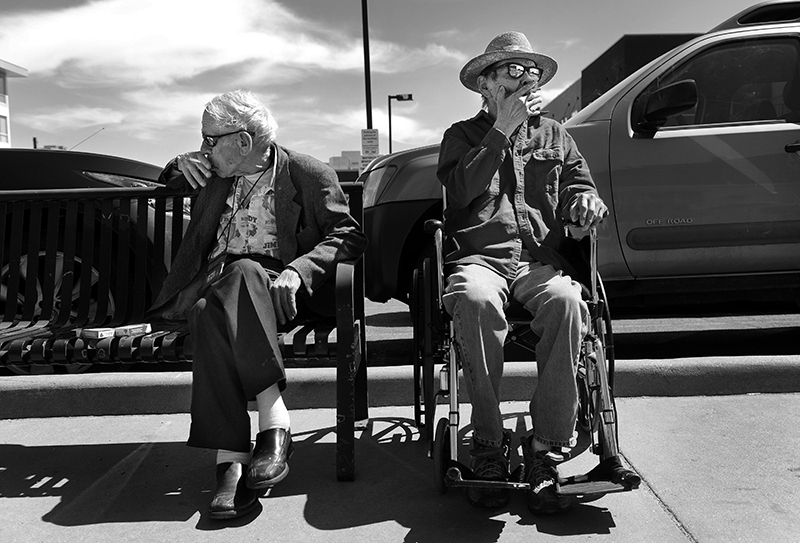 Conversation is scarce as Cecil and Carl smoke cigarettes near The Spearly Center before Carl returns him to his room. Carl, who was admitted to the Denver nursing home over a year ago, suffers from dementia. "You see, he's not Carl anymore," Cecil said. "He's almost like a little child. When I walk in to see him, the first thing he asks me is 'can we go for a smoke?" Cecil said he sometimes feels like Carl's cigarette dispenser, which bothers him. "I chatter like an irritated squirrel, and he just sits there. That's mighty hard to take."